Alcohol allergy is often mistaken for intolerance as both are characterized by spontaneous and unpleasant reactions after ingestion. Allergy to alcohol is quite rare, unlike intolerance. When a person develops a sudden allergy to alcohol, it can be deduced that the immune system is reacting negatively to alcohol. While in the case of intolerance it is the inability of the digestive system to process alcoholic drinks due to the presence of certain ingredients used in the brewing process. What are the symptoms of ethanol intolerance or allergy? What are the reasons for alcohol allergy or intolerance? What are the possible complications of alcohol hypersensitivity? 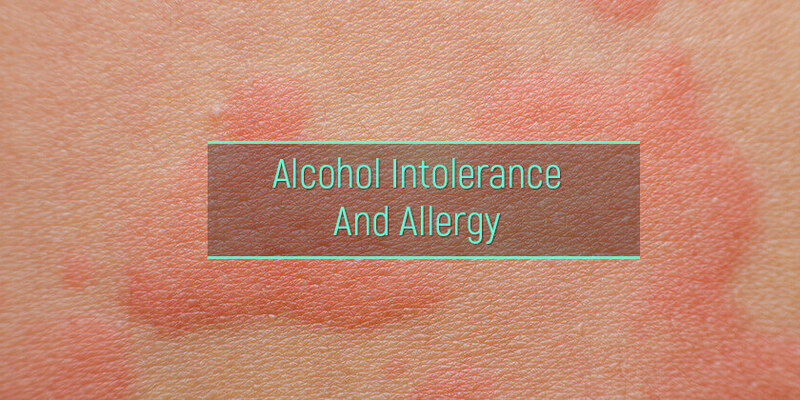 Allergy to alcoholic drink is very different than Intolerance. 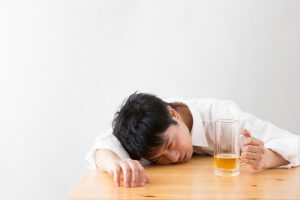 Allergy to alcohol symptoms may develop when one is allergic to one or more of the components in the alcoholic beverage such as wheat, barley, rye, corn, and others. Histamine and sulfite intolerant person may develop an allergy to alcohol. This reaction is an immune system based and can develop at any stage in life. In rare cases, allergic reactions can be fatal. Can you develop an allergy to alcohol? Yes, its possible, even at an advanced age. Allergies can occur from the tiniest drop to binge drinking levels. Here are signs of alcohol allergy. Intolerance to alcoholic beverages and allergy often present with similar health impediments even though that of an allergic reaction could be more extreme. Alcohol allergy hives, itchiness on skin, nose, eyes, and eczema. Alcohol and hot flashes are closely linked especially when taken in excess. It can be categorized as one of the early symptoms of allergy to alcohol. Effects of drinking too much may have similar features to intolerance, so it is important to be able to tell the difference between the both. Excess alcohol may easily be spotted apart from intolerance through the presence of alcohol eyes on binge drinkers. Alcohol allergy symptoms are caused by the presence of an “allergen” in the substance which provokes an immune response in the body. The immune system perceives alcohol as a treat to the body due to the presence of allergens, and this triggers the production of counter antibodies called Immunoglobulin E (IgE). The product of the interaction between antigens and allergens is an allergic reaction. Alcohol intolerance mechanism involves the deficit of a gene code that conditions the production of Aldehyde dehydrogenase (ALDH2) enzyme. This enzyme is necessary for the digestive breakdown of alcohol into acetic acid for absorption in the body. The deficit of the gene code required to produce this enzyme is genetic and is the main cause for Asian alcohol allergy. Sulfites – The sulfite allergy symptoms alcohol induces are caused by the addition of sulfites to beer and wine during production, in the form of preservatives and to inhibit the growth of yeast. The reaction to sulfites may trigger asthmatic attacks as well as other conditions. Common sulfites found in wine and beer is sulfur dioxide and potassium bisulfate. Histamine – this component is found in variable quantity in fermented products, which include beer and wines. The body, during digestion, produces enzymes known as diamine oxidase (DAO) in order to break down high histamine levels contained in ethanol beverages and other products. Hence, if there is a deficit in the production of DAO in the body, it could lead to an immediate allergic reaction such as diarrhea, loss of breath, red itchy skin, nasal congestion, and other conditions, until an alcohol allergy treatment is administered. Other allergens present in alcoholic beverages in high quantity include; wheat, barley, hops, grapes, egg protein, yeast, sodium metabisulphites, rye, and gluten. The higher the presence of each of this allergen in an alcoholic beverage, the more chances there are of an intolerance reaction. Lack of tolerance to alcoholic beverages may be caused by a genetic polymorphism which inhibits the formation of the aldehyde dehydrogenase enzyme hereby stopping the breakdown of acetaldehyde which is a metabolite of the “digestion” process. This condition is mainly found in Asians. People often ask “can alcohol cause seizures?” this depends on your level of alcohol intake. Withdrawal from alcohol after indulging in binge drinking over an extended period of time can cause seizures. There are other possible conditions that may occur as primary or secondary effects due to the inability to break down alcohol. Diabetes and alcohol can lead to various conditions such as low blood sugar as well as others. Apart from severe anaphylaxis, drinking has other adverse reactions that may not be restricted to allergies such as impairment of mental functions, the toxicity of the liver and stomach, and extreme anxiety. Immediate treatment for alcohol use disorder is necessary for all cases of reaction to the substance. It is important to pay attention to details regarding symptoms of allergic reactions and when they occur. Symptoms can be managed effectively when discovered early enough. Alcohol allergy rash treatment can be administered in cases where reactions occur in the alcohol it can be deduced form of a rash. Often times these reactions are not fatal; however, mild and severe allergies can be treated with doses of epinephrine at first sight before seeking a more elaborate treatment from an alcohol treatment center.